Good Parts specialize in precision linear broaching services using broaching machines to create the keyway shape to meet specified demensions. Good Parts manufactures custom and precision broaches to fit the spline shape and to meet specified demensions. Good Parts manufactures spur gears in a large selection of materials including brass, bronze, plastic, fibre and alloys. Good Parts manufactures clusters in a large selection of materials including brass, bronze, plastic, fibre and alloys. Gear manufactures helicals in a large selection of materials including brass, bronze, plastic, fibre and alloys. Good Parts manufactures HTD pulleys in a large selection of materials including brass, bronze, plastic, fibre and alloys. Good Parts manufactures internals in a large selection of materials including brass, bronze, plastic, fibre and alloys. 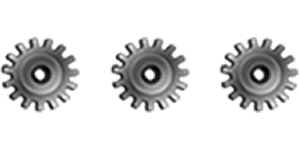 Good Parts manufactures metric gears in a large selection of materials including brass, bronze, plastic, fibre and alloys. Good Parts maufactures custom and precision hexagon shaped broaches to meet specified demensions. Good Parts manufactures custom and precision square shaped croaches to meet specified demensions. Good Parts manufactures sprockets in a large selection of materials including brass, bronze, plastic, fibre and alloys. Good Parts manufactures straight side splines in a large selection of materials including brass, bronze, plastic, fibre and alloys. Good Parts manufactures timing belt pulleys in a large selection of materials including brass, bronze, plastic, fibre and alloys. Good Parts manufactures worm gears in a large selection of materials including brass, bronze, plastic, fibre and alloys. Good Parts manufactures worms in a large selection of materials including brass, bronze, plastic, fibre and alloys.